Many a times, I come across a job description for a Business Analyst and to my surprise the job wanted the Business Analyst to have skills of a Project Manager, Software Designer, and Software Tester. How can one person perform all the tasks described unless the project team was two people the Business Analyst and at least one developer? I don’t know where the collective description of a Business Analyst came from, but all that concerns me is that a Business Analysts job description could alarm people out of a career in this field. A Business Analyst is the liaison between the business people and the technical people in a company. The business people viz. 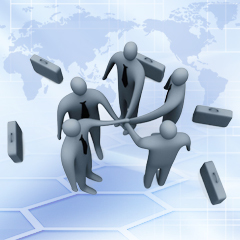 the stakeholders of the project, are the ones whose business needs are catered to by a software company. The technical team is trained to cater to a business need. It is the role of the Business Analyst to capture the business needs and understand the pain areas of a company to explain it to the technical team. The demand for Business Analysts is growing and is expected to grow over at least the next 10 I asked a number of expert Business Analysts to answer this question: What do you think are the important skillsets every business analyst must possess? What kind of degree do you need to be a successful Business Analyst? Most people will assume that a Business or Computer Science degree is must, but that does not seem to be the case. My survey respondents have had degrees in Decision Science, Sociology, Anthropology, Music, Business, and Computer Science. One of the best Business Analysts I know had a degree in Journalism. With employers focusing on people with either business or technical degrees, it is interesting to me that many of the best Business Analysts have degrees other than Business or Computer Science. A good Business Analyst needs significant experience in the domain to be effective. Most people often don’t have much experience in the domains that they working. However, Business Analyst may learn new domains quickly because they are all excellent listeners. Listening is probably the most important skill for this job. Of course experience in the domain and in the process of developing software is quite helpful. The more you understand both the business and software development parts of your project, the more successful you will be as a Business Analyst. Let me explain with an example of an interpreter – the interpreter knows how to interpret. While the interpreter knows all the words of the two languages, the interpreter may not understand all the details of what is being said. But the more the interpreter understands the conversation, the better the interpretation will be. The same holds true for a Business Analyst. Scope the system, Elicit project requirements, especially the business requirements. Write the project requirements in a clear, concise manner. Create and maintain analysis or domain models for the requirements. Act as a communication broker – Works with the project designers and architects to make sure their designs conform to the project requirements. Work with the test team to make sure the tests adequately cover the requirements. Run the User Acceptance tests. Rishabh Software, a CMMI Level-3 technology company, focuses on cost-effective, qualitative and timely delivered Software Development, Business Process Outsourcing (BPO) and Engineering Services.